Home » News & Events » Avoid Hearing Loss! The hidden health risks you need to know! How is hearing and your health related? Hearing loss is linked to dementia and can impact your balance. Having mild hearing loss could double your risk of dementia, while moderate hearing loss could triple the risk. You are five times more likely to develop dementia if you suffer from severe hearing loss. Those who suffer from hearing loss may also experience social isolation; because it is more difficult to hear, you may avoid conversing with others and have difficulty understanding others. People are able to balance subtle cues from their ears that send signals to their brain. With hearing loss, it is more difficult to pick up those cues, which leads to more accidents – like falling while walking. There are many factors that could lead to hearing loss. An early sign of hearing loss is ringing in the ears, also known as tinnitus. Although you may think your hearing isn’t that bad. It is important check with your doctor or audiologist and have your hearing checked. The best way to avoid hearing loss is to prevent it from happening in the first place! 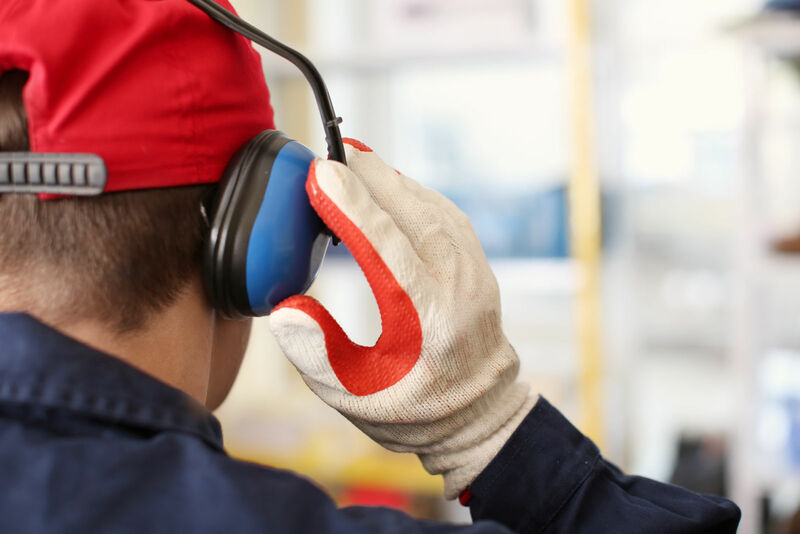 Remember to use ear protection while working in loud and machine-intense environments!